Following violent riots in Paris, French President Emmanuel Macron will undoubtedly need to answer a number of domestic questions at the EU summit in Brussels on Sunday (25 November), expected to endorse the Brexit deal. 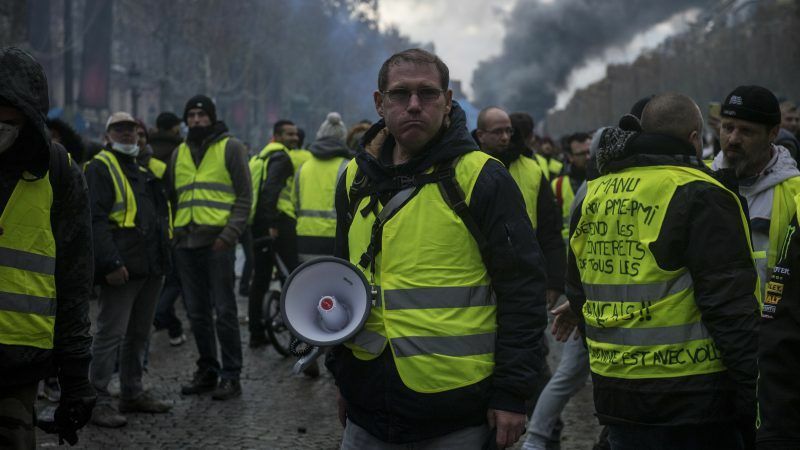 Police firing tear gas and water cannons clashed in the French capital on Saturday with thousands of protesters angry over rising car fuel costs and Macron’s economic policies, the second weekend of “yellow vest” protests across France. As night fell, the famed Champs-Élysées avenue, where fashion designer Karl Lagerfeld switched on the red lights of Christmas just a few days ago, was still aglow with fires lit by protesters. President Emmanuel Macron thanked police forces for their” courage and professionalism” in dealing with demonstrators as calm progressively returned to the Champs Elysees. “Shame on those who attacked them … There is no room for this violence in the Republic,” Macron said on Twitter. During the clashes, a trailer was set on fire and exploded on the Champs Élysées, France’s most famous tourist mile, and a man who tried to attack firefighters was overpowered by some of the demonstrators themselves. Around 8,000 protesters had converged on the Champs Élysées where police tried to prevent them from reaching the president’s Élysée Palace. Protesters are opposed to taxes Macron introduced last year on diesel and petrol which are designed to encourage people to switch to cleaner forms of transport. Alongside the tax, the government has offered incentives to buy electric vehicles. “Ultra-right networks were very mobilized on the Champs Élysées,” he said. There were about 20 people injured on the Champs Élysées, according to police. Last Saturday, nearly 300,000 people took part in the first yellow vest demonstrations countrywide. By early evening on Saturday, more than 106,000 demonstrators were involved in protests across France, according to the ministry. The unrest is a dilemma for Macron who casts himself as a champion against climate change but has been derided as out of touch with common folk and is fighting a slump in popularity. 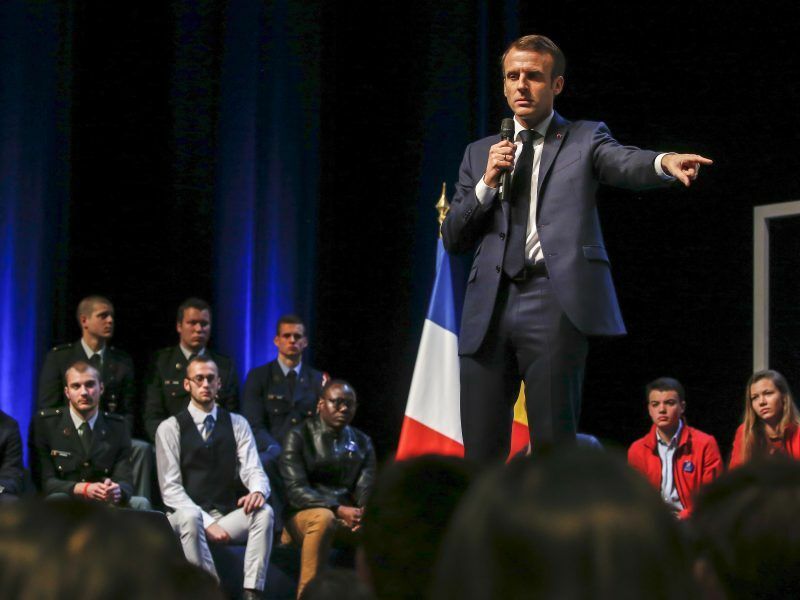 While the movement, which has no leader, began as a backlash against higher fuel prices, it has tapped into broader frustration at the sense of a squeeze on household spending power under Macron’s 18-month-old government. Since coming to power, Macron has seen off trade union and street demonstrations against his changes to the labour rules and overhauled the heavily indebted state rail operator. Foreign investors have largely cheered his pro-business administration. Domestic problems are the last thing Macron needs with regard to his EU agenda. The French president has nourished hopes that the Brexit crisis could be transformed into an opportunity and boost the much needed EU reform. On a recent visit to Brussels, he warned that people seem to have forgotten that Le Pen won the European elections in France in 2014, and that her Rassemblement National party is currently leading the European election race. “But I haven’t,” he said. French President Emmanuel Macron escaped protests over fuel prices and tumbling approval ratings at home with a series of state visits that placed Europe at the centre of attention.